Lability refers to the ease with which ligands are replaced in coordination complexes. Scandium is referred to as "labile" in the following example. Lability refers to how easily metal-ligand bonds are broken. A compound in which metal-ligand bonds are easily broken is refered to as "labile". A compound in which metal-ligand bonds are more difficult to break is referred to as "inert". Henry Taube (Nobel Prize, 1983) tried to understand lability by comparing the factors that govern bond strengths in ionic complexes to observations about the rates of reaction of coordination complexes. He saw some things that were unsurprising. He also drew some new conclusions based on ligand field theory. In which compound from each pair would you expect the strongest ionic bonds? Why? Taube observed that many M+1 ions (M = metal) are more labile than many M+3 ions, in general. That isn't too surprising, since metal ions function as electrophiles or Lewis acids and ligands function as nucleophiles or Lewis bases in forming coordination complexes. In other words, metals with higher charges ought to be stronger Lewis acids, and so they should bind ligands more tightly. However, there were exceptions to that general rule. For example, Taube also observed that Mo(V) compounds are more labile than Mo(III) compounds. That means there is more going on here than just charge effects. Another factor that governs ionic bond strengths is the size of the ion. Typically, ions with smaller atomic radii form stronger bonds than ions with larger radii. 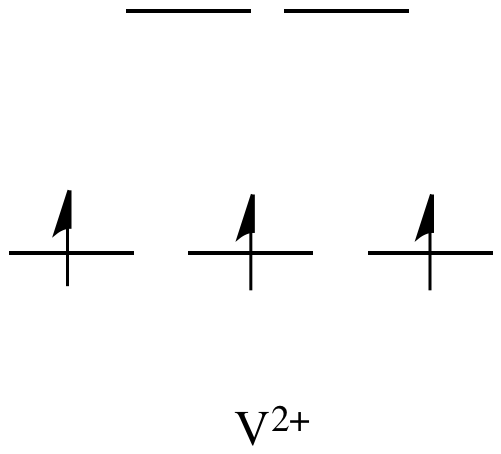 Taube observed that Al3+, V3+, Fe3+ and Ga3+ ions are all about the same size. All these ions exchange ligands at about the same rate. That isn't surprising, because they have the same charge and the same radius. However, Cr3+ is also about the same size as those ions and it also has the same charge, but it is much less labile. Once again, there are exceptions to our regular expectations based on simple electrostatic considerations. Furthermore, second- and third-row transition metals (Y-Cd and Ac-Hg) are much more inert than first-row transition metals (Sc-Zn). That is a little surprising, since those lower metals are much larger than the first row metals. However, it gives us a clue about other factors that are playing a role in lability. 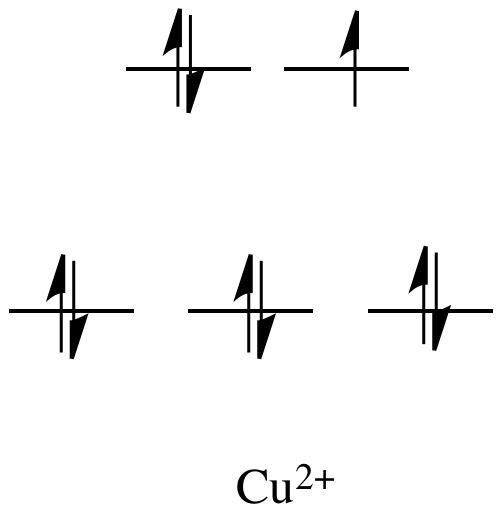 In ligand field theory, second- and third-row metals have much larger d orbital splitting energies than do first-row metals. That is sometimes explained in terms of diffuse orbitals on these larger atoms forming stronger bonds to ligands, and reminds us that we are not just dealing with electrostatic interactions. Taube wondered whether d electron configuration influenced whether a compound is labile or inert. That idea forms the basis of Taube's rules about lability. For example, metals like Ni2+ and Cu2+ are very labile. The d orbital splitting diagrams for those compounds would have d electrons in the eg set. Remember, the eg set arises from interaction with the ligand donor orbitals; this set corresponds to a σ antibonding level. By comparison, V2+ is rather inert. The d orbital splitting diagram in this case has electrons in the t2g set, but none in the eg set. So, having electrons in the higher energy, antibonding eg level weakens the bond to the ligand, so the ligand can be replaced more easily. In the absence of those higher energy electrons, the bond to the ligand is stronger, and the ligand isn't replaced as easily. On the other hand, metals like Ca2+, Sc3+ and Ti4+ are pretty labile. The d orbital splitting diagrams in those cases are pretty simple: there are no d electrons at all in these ions. That means having no electrons in these mostly non-bonding levels leaves the complex susceptible to ligand replacement. But it's hard to see why population of an orbital that is mostly non-bonding would have an effect on ligand bond strength. Instead, this factor probably has something to do with the part of ligand substitution that we have ignored so far. Not only does one ligand need to leave, but a second one needs to bond in its place. So, having an empty orbital for the ligand to donate electrons into (or, put another way, not having electrons in the way that may complicate donation from the ligand) makes that part of the reaction easier. Some metals, like Mn2+, can be either labile or inert, depending on whether they are high spin or low spin. Explain why using d orbital splitting diagrams. Predict whether the following metals, in octahedral complexes, are labile or not.